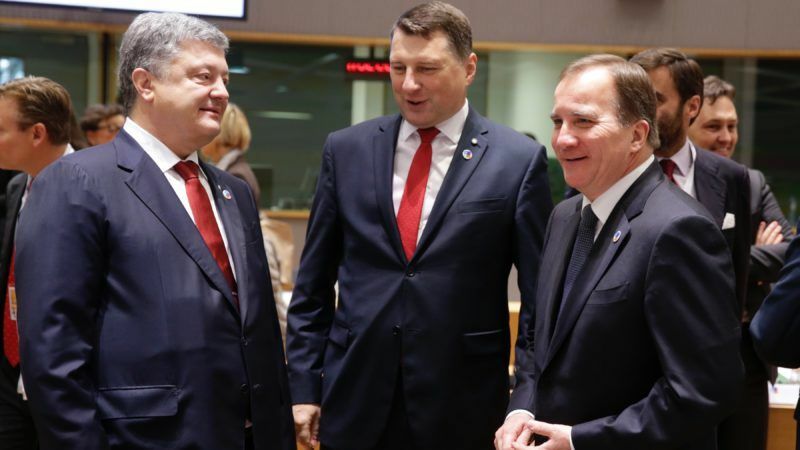 Eastern Partnership: In a dismal state or a new beginning? The EU should apply a pragmatic approach to the Eastern Partnership, but cannot gamble with its own basic values and principles, writes Pavel Havlíček. Pavel Havlíček is an analyst at the Association for International Affairs (AMO) in Prague. On 24 November 2017 Brussels hosted the fifth summit of Eastern Partnership (EaP) since its emergence in Prague. Over the last eight years, the EU’s eastern policy has been through ups and downs. The recent Brussels summit of heads of state from the EU and EaP countries, as well as the policy itself, suffered from high expectations. For many, these were not met by the final declaration. Despite this, the policy is far from being doomed or forgotten in future. Even if criticised for its content, the final declaration from the fifth summit can be assessed as innovative in several aspects. First of all, it is shorter and more consistent in its content than some of the previous EaP declarations (e.g. from Vilnius in 2013). One could even use the word ‘realistic’ in delivering concrete outcomes for the citizens of the EU’s eastern neighbourhood, symbolised by twenty deliverables for 2020 worked out by the Commission. Second, the summit and its final declaration did not primarily concentrate on big strategic documents (as they were concluded earlier), but rather on small pragmatic steps, which can be achieved, possibly with the exception of Comprehensive and Enhanced Agreement with Armenia (CEPA). The honest discussion – supposedly for the first time – was also commended by the Commission’s President Jean-Claude Juncker as a move towards more sincere dialogue between the EU and partnership countries. Third, the summit further strengthened earlier multispeed division between the associate countries and Armenia, Belarus and Azerbaijan accompanied by individual approach and principle of more-for-more (and less-for-less). Finally, even if the final wording was for many not so ambitious due to the opposition of certain member states (e.g. the Netherlands), suffering from ‘EaP-fatigue’ or pro-Russian sentiments, all necessary elements describing the current situation in Eastern Europe were captured, starting from the conflict in Eastern Ukraine (“continued violations of principles of international law”) to the future closer relations between the three associated partners (Ukraine, Georgia and Moldova) with the European Union (“the European aspirations and European choice”). In addition, the commentary of Donal Tusk during the final press conference illustrated the position of those who are well-aware of the Russian aggression against Ukraine and could imagine a more ambitious text. Nevertheless, the Council’s President was not the only one to articulate his position on the future of the Eastern Partnership. The European Parliament, as well as EaP Civil Society Forum, clearly expressed their strategic visions before the gathering of statesmen, too. As usual, the European Parliament suggested a more ambitious plan, especially for the associate countries, than was finally agreed by the PMs and presidents of the EU member states and EaP countries. However, this does not mean that Parliament’s main ideas – concept of ‘EaP+’ for associate countries, European investment plan for Ukraine (resp. Georgia and Moldova), further integration in the single market and Schengen Zone, or cancelling roaming for EaP countries – would be forgotten. On the contrary, these ideas are going to stay with us as proposals for the future. Therefore, it is not fair to say that the Eastern Partnership is doomed to failure, or even disappearance in the years to come. It is more precise to say that the policy currently needs stronger political impetus for further integration and more concrete motivation of EaP countries in their reform efforts supporting the previously agreed AAs and DCFTAs with Ukraine, Georgia and Moldova. To a certain extent, this is newly the case of Armenia. The applied approach illustrates the EU’s flexible attitude to its eastern neighbourhood, which can be complementary with Russia’s own initiative of Eurasian Economic Union. This can only advance the EU’s original goals of achieving a more secure, stable and prosperous neighbourhood and turning the current ‘Ring of Fire’ into a true ‘Ring of Friends’. Last but not least, the EU’s pragmatic approach towards the EaP countries embodied in enhancing the people-to-people contacts (“stronger society”) as well as stronger governance is beneficial not only for the resilience of partner countries, but above all for their citizens, who are now in the core of the policy. Pragmatism and honest discussion delivering concrete solutions should be generally welcomed, but it cannot be at the expense of EU values and basic principles, such as democracy, human rights or rule of law. This was previously condemned by the EaP Civil Society Forum, as there was no single point aiming at human rights or the promotion of democracy included in the Commission’s plan for 2020 deliverables. Decreasing the emphasis on EU values would mean losing the guidance for the EU’s behaviour in its eastern neighbourhood, which could harm the EU’s reputation. This already happened in Moldova where a rhetorically pro-European government was known for its corruption and misuse of power. The EU cannot afford to gamble with its basic values and principles, as all its steps are carefully being observed from the autocratic regimes around Eurasia, desperately waiting for compromises in the above-mentioned areas, which would be immediately abused in their domestic realms. In this way, the EU can combine the pragmatic approach to the Eastern Partnership with its own credibility as well as conditionality delivering reform actions on the side of partner countries, and give the policy a new impetus in the years to come.